Same prices as the post above. Studio Series Deluxe Class 26 – WWII Bumblebee, 339,- Nkr each. Studio Series Leader Class 34 – DOTM Megatron, 799,- Nkr each(!). First time I've seen a Studio Leader in Norway, yay. No sign of any other Studio Series, but at least 7 each of the above…strange. Bumblebee, Optimus Prime, Megatron, Starscream, Grimlock, Slipstream, Windblade, 139,- Nkr each. Deluxe Class Windblade, Megatron and Acid Storm, 249,- Nkr each. Ultra Class Shadow Striker, 339,- Nkr each. God, Hurry up and get to Canada!!! And still no where to be seen in the U.K…..
With Nordic Toys'r'Us dead, I didn't think we'd get anything interesting in a while, but I just saw Series 1 Botbots 5-packs for 13,95 euros at CityMarket Skanssi in Turku. Didn't realize at the time to check if they had blind bags as well, so no idea on that. Found a suspicious box at the bottom of the shelf, and yay! POTP Wave 2 Prime Masters and Deluxes found at Toys'R Us in Norway (Trondheim) and online at toysrus.no. 90,- for Prime Masters and 279,- for Deluxes. Also spotted Drake the Dragon-Bot and Servo from Rescue Bots, can't remember seing those before. Just found quite a few Cyberverse figures at Toys'R'Us Malmö, Sweden. Warrior Class (Optimus Prime, Bumblebee, Starscream, and Shockwave) for 249 SEK, Ultra Class (Bumblebee, Grimlock, and Starscream) for 299 SEK, and Ultra Class (Optimus Prime and Megatron) for 449 SEK. Also available were the final three PotP Terrorcons (Blot, Sinnertwin, and Cutthroat) for 249 SEK each. Not a bad day! Does Norway use euros? That's pretty expensive for Transformers. 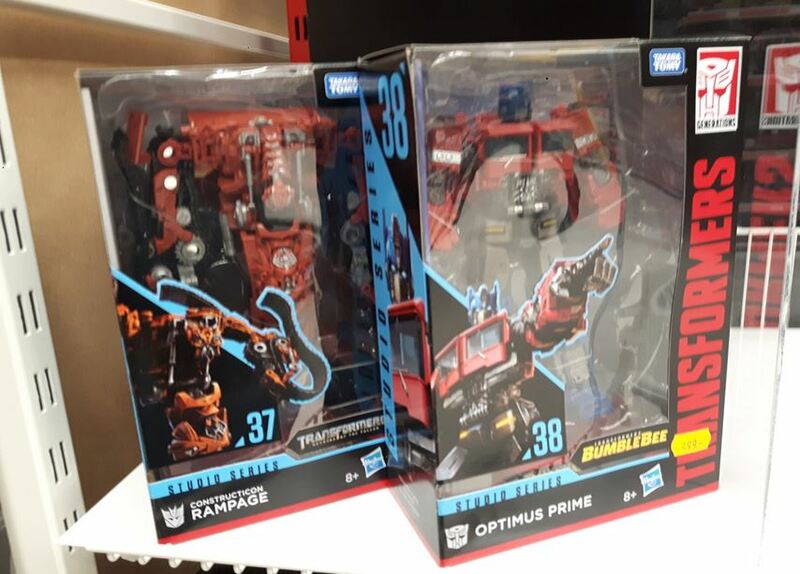 PotP Wave 3 Deluxes found in Toys'R Us in Trondheim, Norway! They've really stepped up their game the last few months. Also available for order on toysrus.no website. Can't wait to find Snarl in Sweden! Snarl, Swoop and Slash (and possibly Slug and Sludge) are the only Dinobots in the PotP-line I'm really interested in since Grimlock is way out of scale and he also suffers the most for the gimmick. Found Wave 1 Studio series Deluxe and Voyagers at Extra Leker in Trondheim, Norway. Seems like somebody already grabbed Bumblebee and Optimus (and Starscream left with me, *cough*).